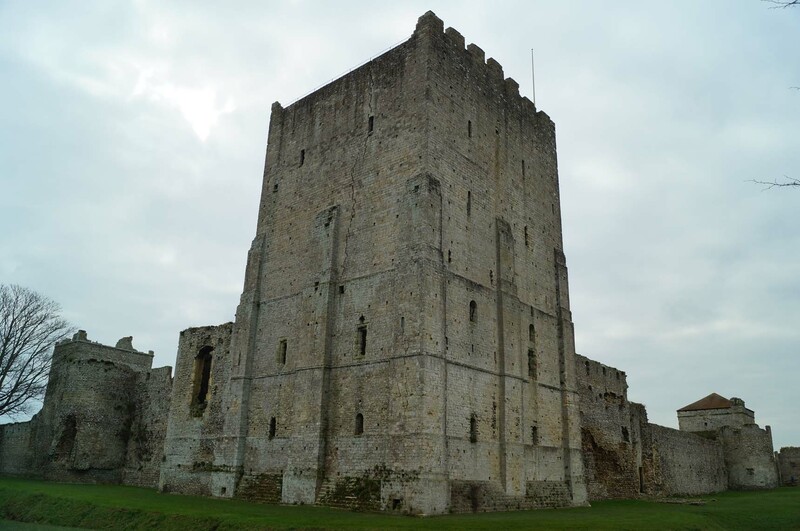 Portchester Castle was originally built by the Romans to serve as a fortified Naval Base. King Edward later converted the site into a fortified burh and, following the Norman Conquest, a castle was constructed in the north-west corner. The castle saw regular use during the Hundred Years War but thereafter it declined and by the seventeenth century was only used as a prison. 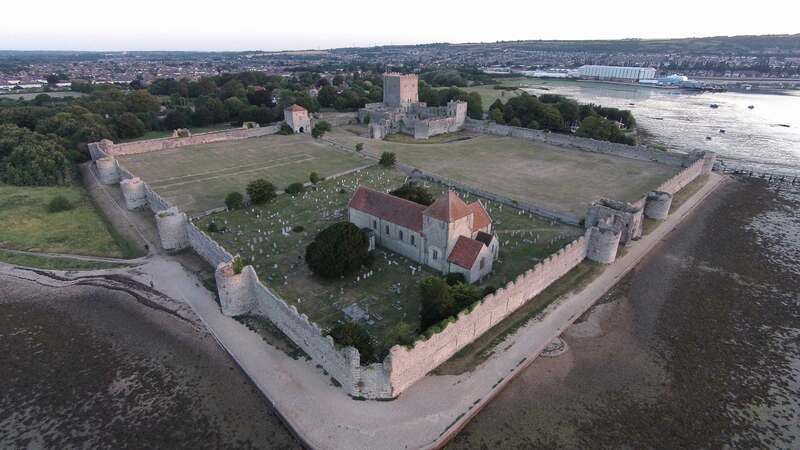 Portchester was first fortified during the late third century AD as part of series of installations built along the south and eastern coasts of England to defend against Saxon raids originating from Germany. Known as Portus Adurni, the fort acted as a supply base serving the British Roman Navy (Classis Britannica). 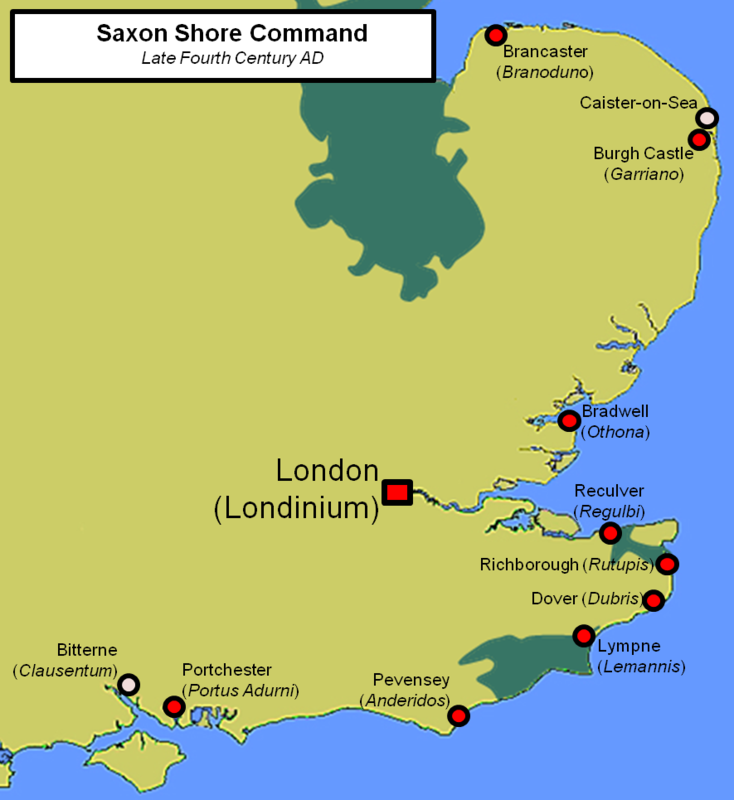 The names of the regiment(s) which garrisoned the facility are unknown but the Notitia Dignitatum, a written record of Roman military dispositions dated to around AD 395, listed it as one of nine forts under the control of the Count of Saxon Shore in Britain (comes litoris Saxonici per Britanniam). This was an integrated military command consisting of a chain of forts which stretched from Portchester itself to Brancaster (Branodunum). The fort itself departed from traditional Roman military design. In the preceding centuries, Roman forts had used a traditional 'playing card' configuration which had relatively weak defences as it was intended the army would march out and attack any enemy rather than endure a siege. 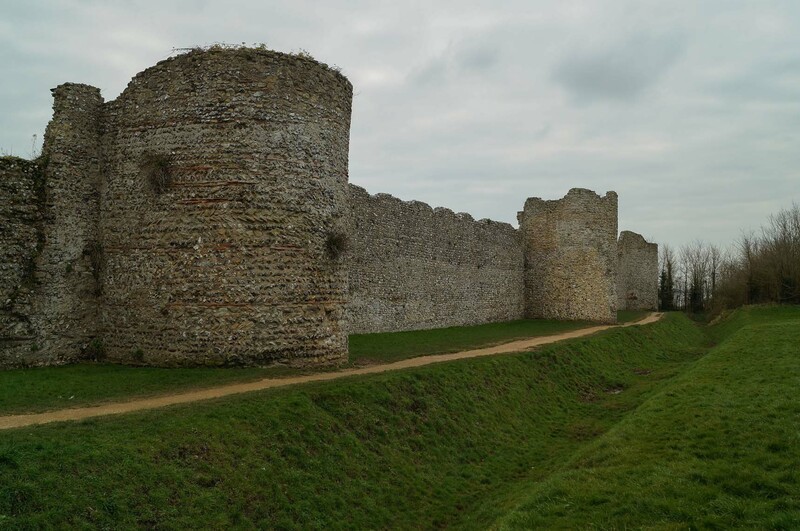 By the time of Portchester's construction, the Romans had modified their approach and instead the fort was built with much stronger defences with a stone curtain wall augmented by twenty semi-circular towers. These substantial defences would have enabled the garrison to withstand a siege. It is possible this enhanced design reflected the reality of military cutbacks as the British garrison was redeployed elsewhere. 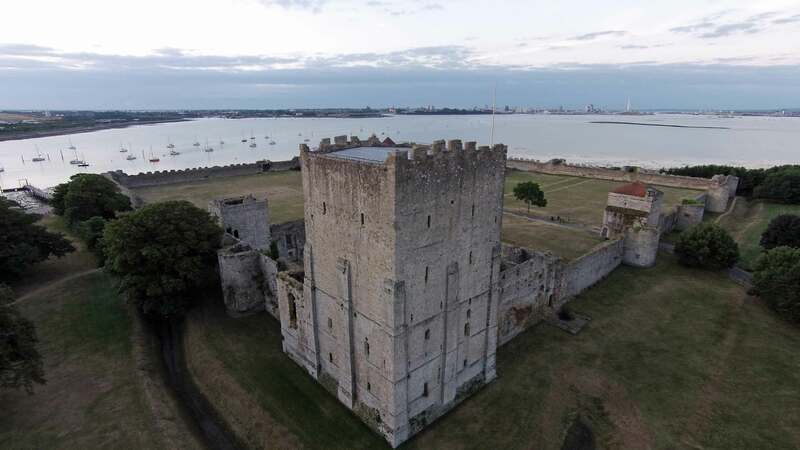 Portchester was abandoned in the early fifth century when the Romans withdrew from Britain as, without the presence of the navy nor deliveries from the Imperial supply chain, it simply ceased to have a function. Archaeological evidence suggests some form of occupation continued and by the tenth century a high-status hall seems to have been established within the site. However, in AD 904 the site was converted into a burh (fortified town) by King Edward the Elder. Such sites concentrated economic activity ensuring it was both taxable and defendable from Viking raids. The Burghal Hidage listed the fort as having a value of 500 hides suggesting it was a relatively wealthy settlement (by contrast nearby Southampton was only valued at 150). 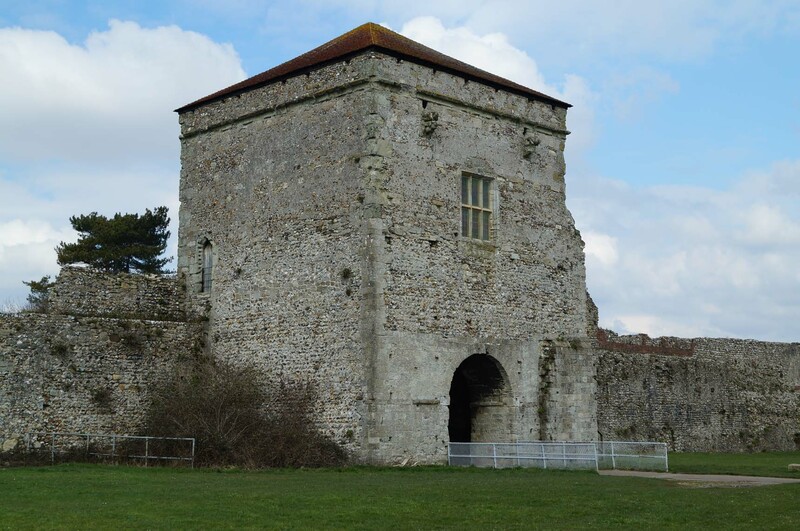 Following the Norman Conquest, Portchester was granted to William Maudit and it was probably he who raised the castle. The Roman Walls were utilised to form the perimeter around the Outer Bailey whilst a moat and timber barrier were used to separate the north-west corner of the fort which then became the Inner Ward. When William died in 1100 the castle passed to his son, Robert Maudit, but he was killed in the White Ship disaster in 1120. Thereafter the castle passed through marriage to William Pont de l'Arche. 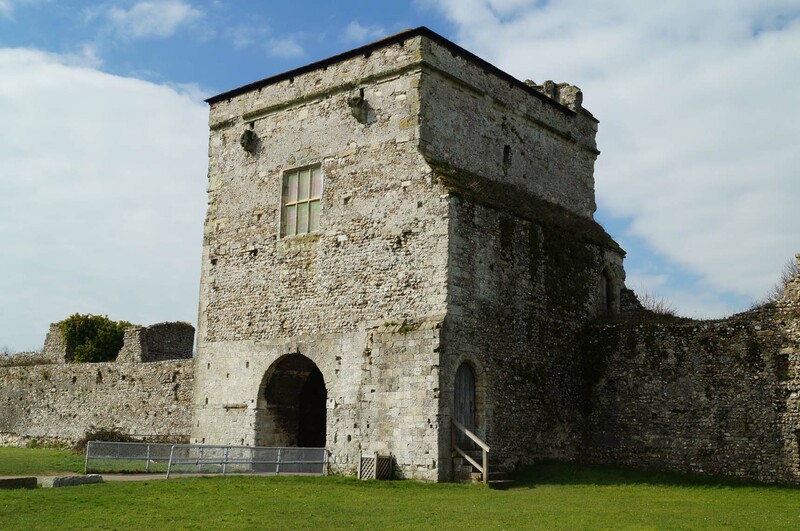 William commenced rebuilding the Inner Ward defences of Portchester Castle in stone including raising the Great Tower during the 1120s and 1130s. William also built St Mary's church to serve an Augustinian Priory he founded within the walls although by 1150 this community had relocated to Southwick. 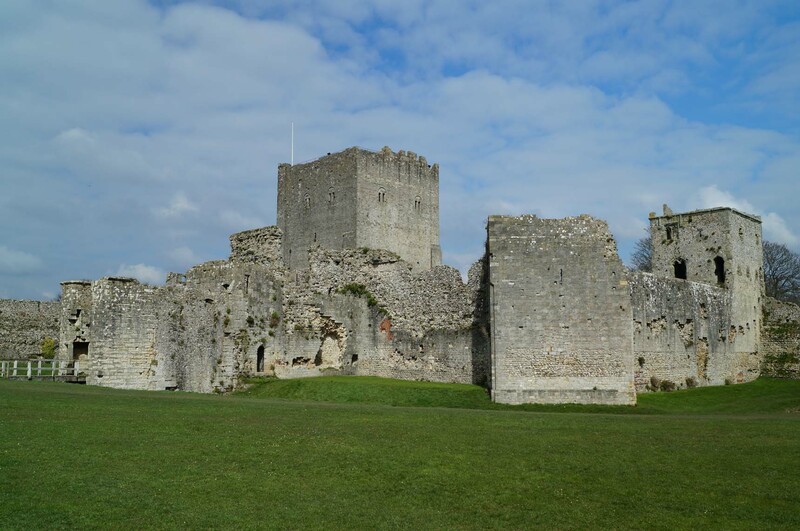 Portchester Castle was taken into Crown control in 1154 by Henry II. He spent modest sums enhancing the accommodation and regularly used these facilities as he travelled to and from the continent. The castle was prepared for a siege in 1173 during a rebellion against the King but no action was recorded. Further upgrades were then made during the reign of King John who regularly hunted in the nearby Forest of Bere. However, John's reign destabilised when the King annulled Magna Carta igniting the First Barons' War. 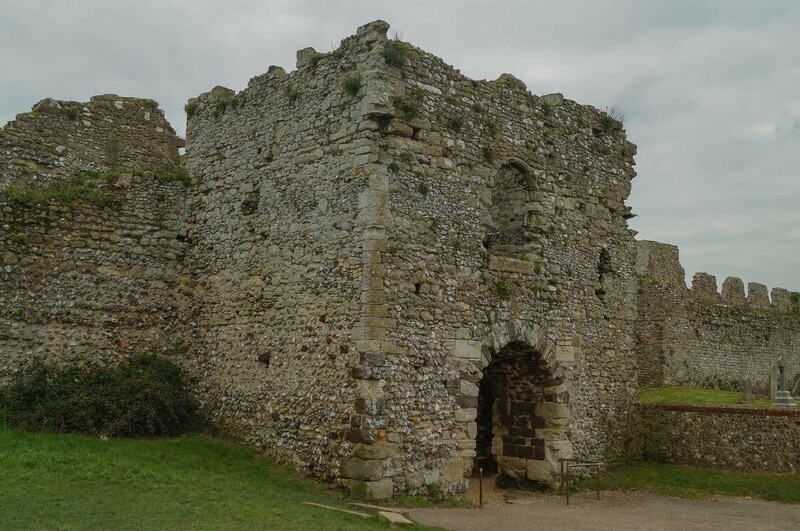 The outraged Barons invited Prince Louis of France to invade and Portchester Castle was surrendered to his forces during June 1216. John's timely death later that year defused the conflict and in 1217 the castle was retaken on behalf of Henry III. 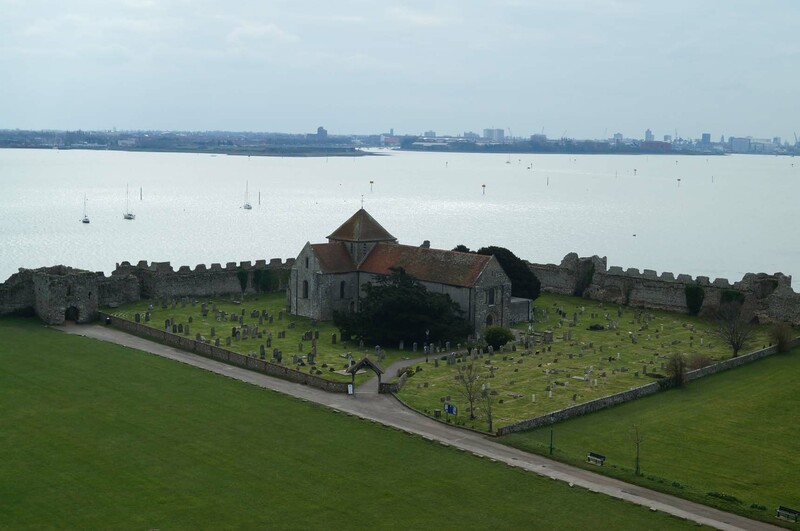 During the Hundred Years War, Portchester became a marshalling ground for troops departing to fight in France. The forces of Edward III departed from the castle on their way to victory at Crecy and Calais. Henry V also sailed from the site on the campaign that culminated in the Battle of Agincourt (1415). 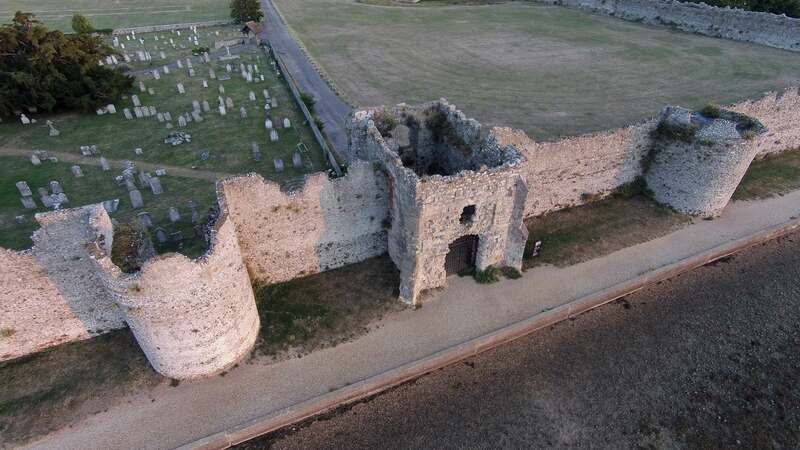 It was whilst staying at Portchester Castle that the King uncovered the 'Southampton Plot' - an alleged attempt to kill him before he departed for France. The conspirators - Richard Earl of Cambridge, Lord Henry Scrope of Masham and Sir Thomas Grey - were arrested and sent to Southampton for execution. 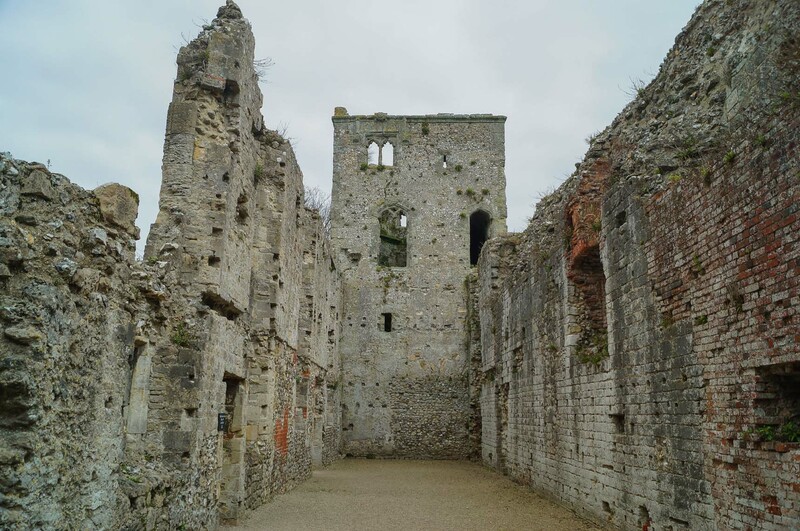 As the Hundred Years War petered out, Portchester Castle was neglected and by the 1450s it was reportedly ruinous. Some repairs were made during the reign of Henry VIII and it hosted a Royal visit in 1535. Further repairs were made during the reign of Elizabeth I as tensions increased with Spain. The Queen briefly stayed at the castle during 1603. Charles I sold Portchester Castle to Sir William Uvedale in 1632. It is not clear what purpose he intended for the site but, during the Civil War, it was taken over and garrisoned by Parliamentary troops. It was returned to Uvedale after the war but during the Second Dutch War (1665-67) was requisitioned to accommodated 500 prisoners of war. 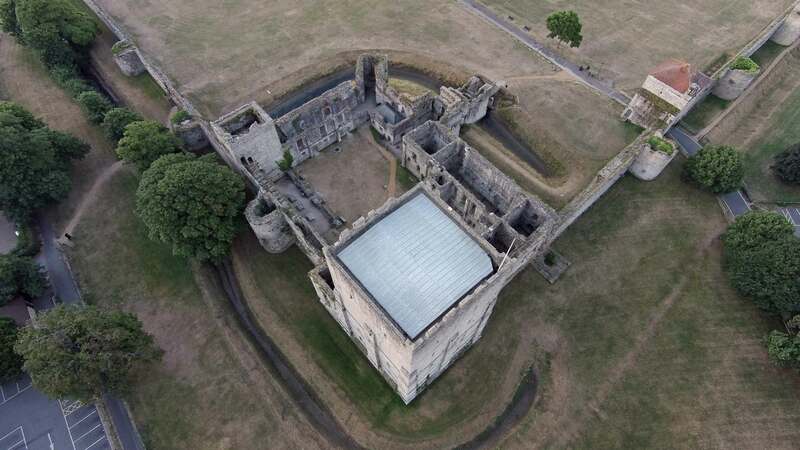 It served this purpose well and was leased by the Government throughout much of the eighteenth century for the same purpose and by 1747 over 2,500 men were incarcerated within the castle. The last prisoners of war left the castle in May 1814 and four years later the site was abandoned by the army. The military and prison facilities were demolished thereafter and the site remained abandoned until placed into State care in 1926. Munby, J.T (2000). Portchester Castle. English Heritage, London. 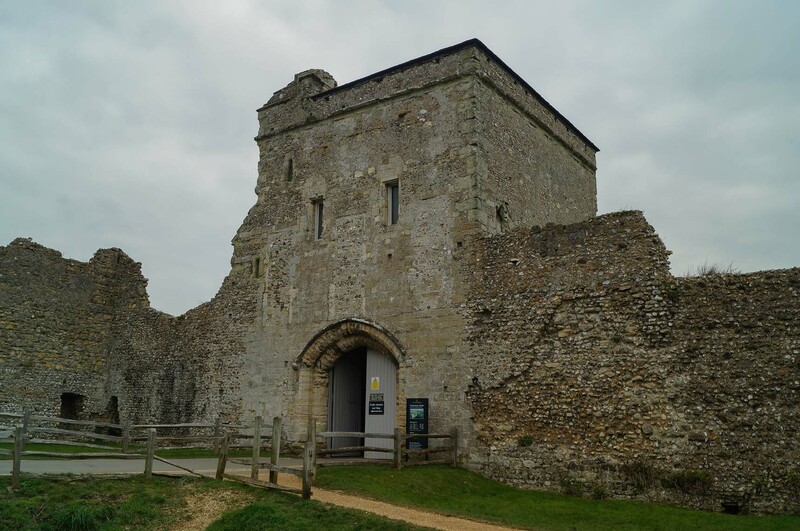 Portchester Castle includes an impressive twelfth century Keep set within the well preserved remains of a Roman Saxon Shore fort. The remains of the latter are the most complete circuit in the UK. 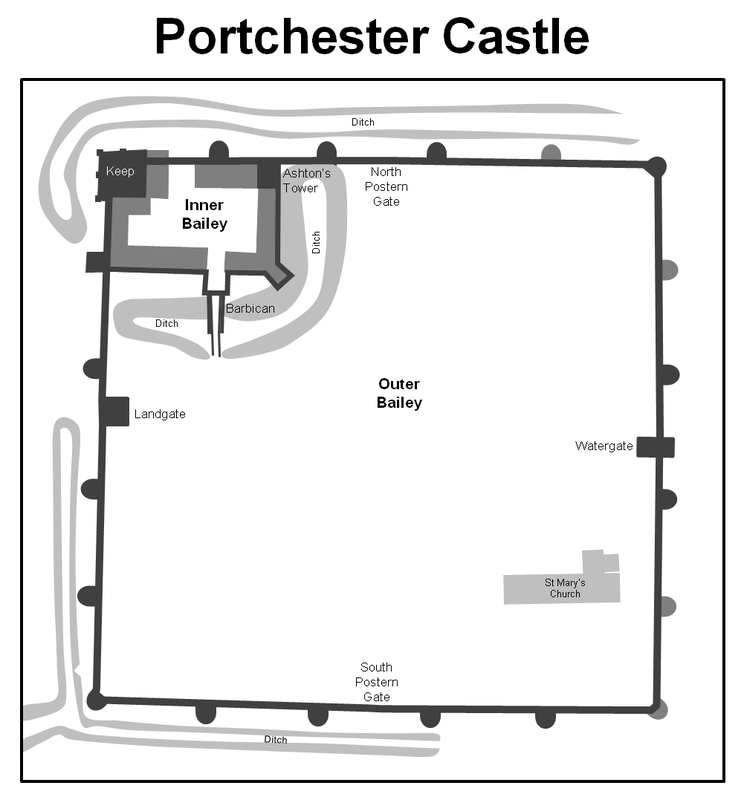 Portchester Castle Layout. The castle was originally a Roman fort built during the late third century AD. It's defences were more substantial than earlier forts with a thick curtain wall augmented by projecting towers. A ditch originally surrounded at least three sides of the fort. The Norman castle was built in the north-west corner during the late eleventh century. Throughout much of the castle's life the interior would have been full of buildings but today only St Mary's church survives. Roman Curtain Wall. The castle's curtain wall was built by the Romans but has been extensively repaired in the subsequent centuries. In total twenty towers projected from the line of the wall enabling flanking fire upon any attackers. Landgate. Originally one of two major gates into the Roman Fort, the Landgate was originally inset from the main curtain wall. During the medieval period the west face of the gate was rebuilt to make it flush with the outer wall. The gatehouse was rebuilt by Edward II between 1320 and 1326. Its current appearance dates from modifications made by Richard II between 1396 and 1399. Watergate. The Watergate was originally one of the main Roman gates into the fort and was identical in plan to the Landgate. It was substantially rebuilt by Edward II between 1320 and 1326. Like much of the western side of the castle, it has suffered from coastal erosion. An original Roman arch has survived on the inner face of the gatehouse. Inner Bailey. The Inner Bailey was built in the north-west corner of the former Roman Fort. It was structured around a square courtyard with ranges on all sides. The Keep was built straddling the corner of the curtain wall. Keep. The 30 metre tall Keep was built in stages. 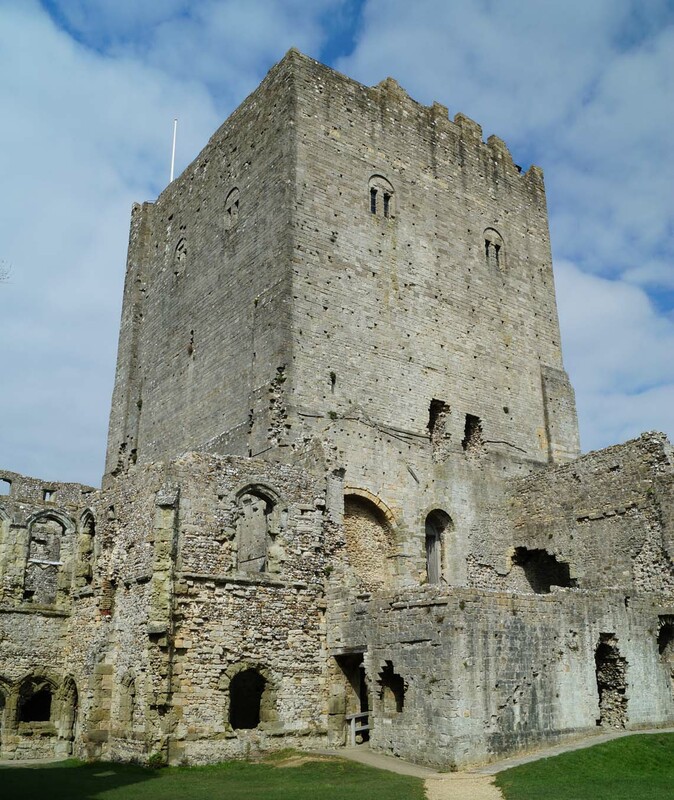 By the 1130s it stood at two-thirds of its current height but it was heightened by a further two storeys circa-1150. The parapets were added by Richard II between 1380 and 1399. East Range and Ashton's Tower. This was built during the thirteenth century. St Mary's Church. This was originally built to form part of an Augustinian Priory founded by William Pont de l'Arche in the early twelfth century. 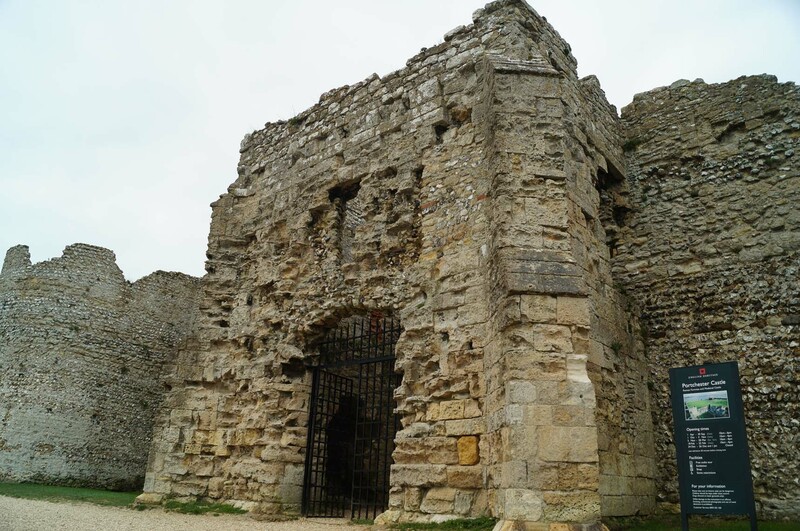 Portchester Castle is found at the end of Castle Street. There is a dedicated car park in the immediate vicinity.